SuperGen is part of the Research Councils UK Energy Programme and is a key initiative in Sustainable Power Generation and Supply. It aims to contribute to the UK's environmental emissions targets through a radical improvement in the sustainability of the UK's power generation and supply. With the first consortia launched in 2003, the SuperGen program now supports 8 consortia and 5 Hubs and represents the focus of the energy programme’s significant contribution to renewable energy research. 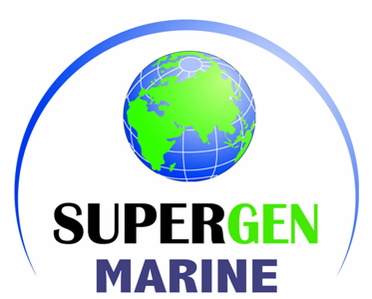 SuperGen Marine is one out of 8 consortia within the program which works on research into marine renewable energy conversion and delivery. It has had two very successful phases which are followed by a third one, UKCMER; it started in 2011 and was completed in 2016. It has now entered Phase 3. The project is led by the University of Edinburgh. The consortia has four main academic partners, 11 associate universities and seeks to engage developers, industry, academia and other stakeholders to conduct fundamental and applied research that accelerates deployment of marine renewable energy. The Policy and Innovation Group leads the industrial and international network of the project.